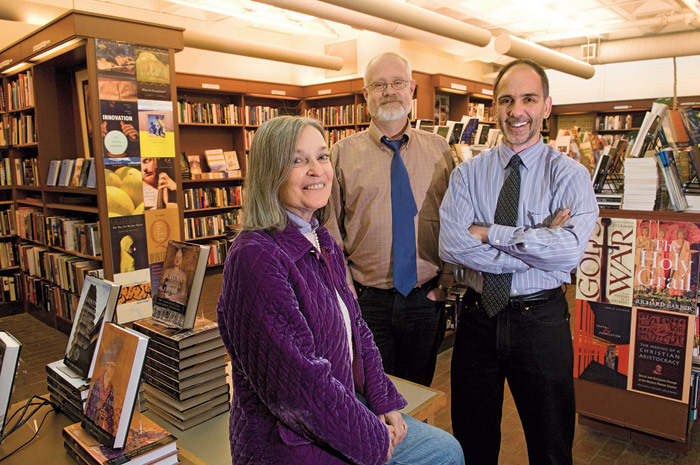 Parker, Flemming, and Duncan ran a sophisticated bookstore in the heart of the Square. See photos from HUP display room history. 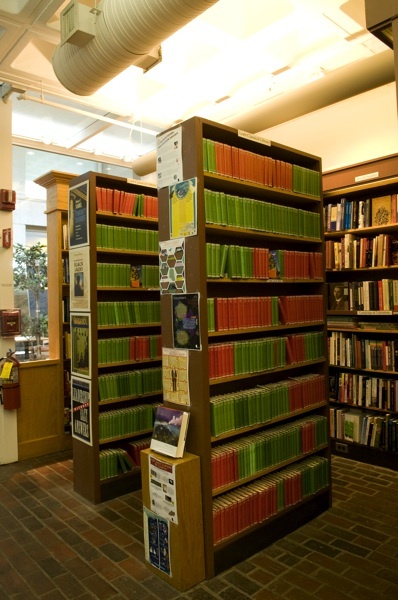 The books themselves remain readily available, and HUP’s list can be browsed comprehensively at its website, www.hup.harvard.edu. What is lost, however, is the overwhelming visual impression of the whole Loeb Classical Library in its green (Greek) and red (Latin) cases and dust jackets, and the nearby bright blue of the newcomer, the I Tatti Renaissance Library. It becomes more difficult to assemble, at a glance, the depth of the works published in Slavic studies, or in higher education, or music, or landscape architecture. 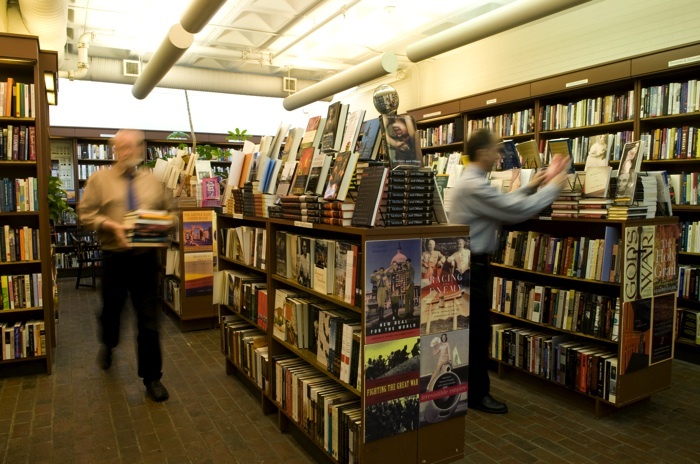 This was a sturdy place—brick floors, concrete ceiling, solid shelves—in which to encounter Igor Stravinsky and Eudora Welty, among all the scholarly volumes. 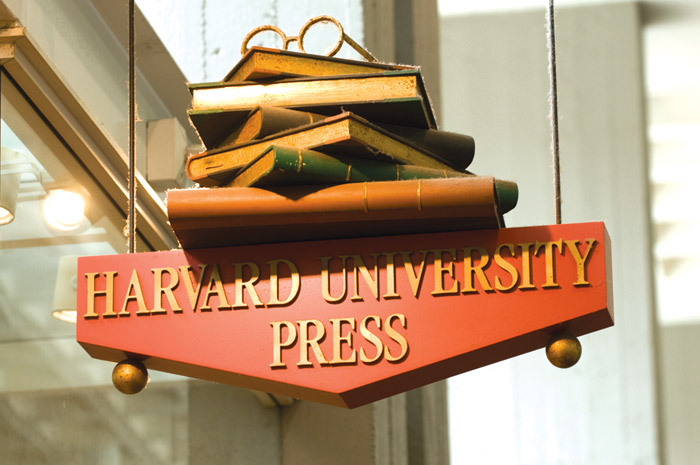 Above all, as showed by the store’s sign—a stack of books disordered by rummaging, rather than positioned neatly but unopened—it was a place about serious reading and publishing: a very good thing for a university-press bookstore embedded in the center of Harvard’s campus.